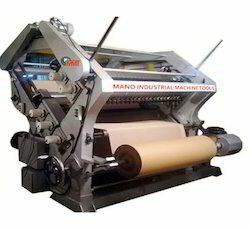 We are a manufacturer and supplier of Dual Profile Single Face Paper Corrugation Machine in India.We have been supplying our products to our customers from all over India. We have been giving service to our customers after sales. S.Steel Tube heaters ½” Thickness of 11 K.W Each. Rewinding arrangement with 2 No’s rewinding Shafts, Tool Box. Hydraulic Lifting Reel Stand With, 2 unwinding Shafts # 2 H.P. motor # Capacity of lifting 1000 Kg loads. 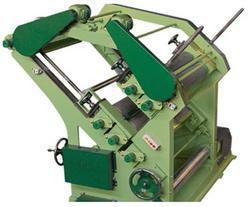 Arrangement: Rewinding arrangement with 2 No’s rewinding Shafts, Tool Box.